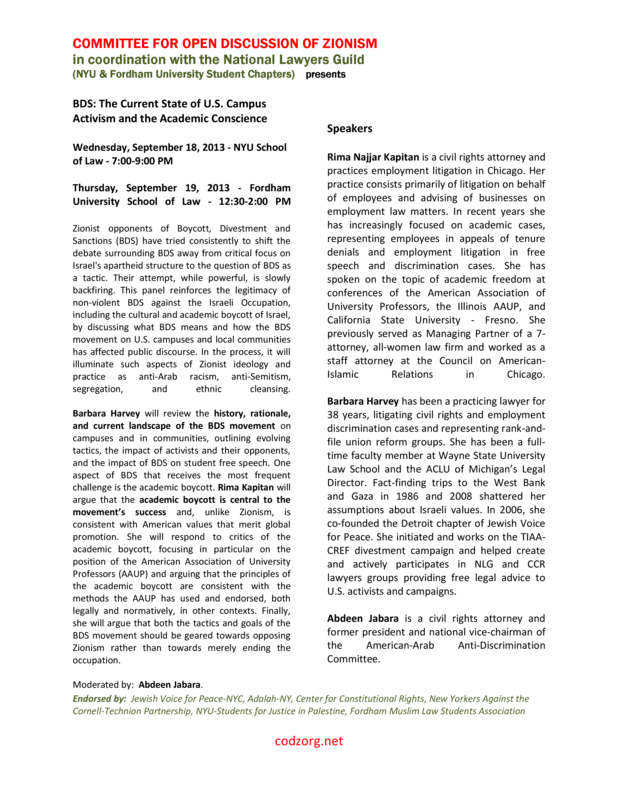 SCREENING: Fundraiser for Where Should the Birds Fly? 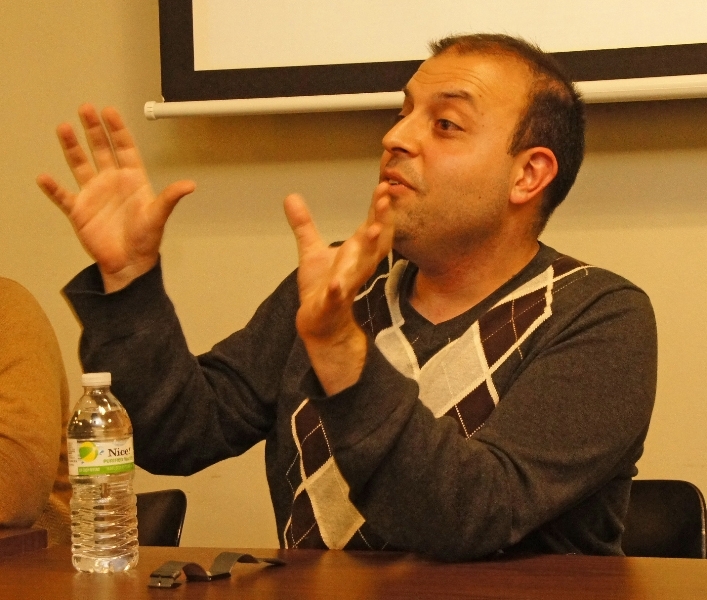 Fundraiser screening for Gazan film Where Should the Birds Fly? 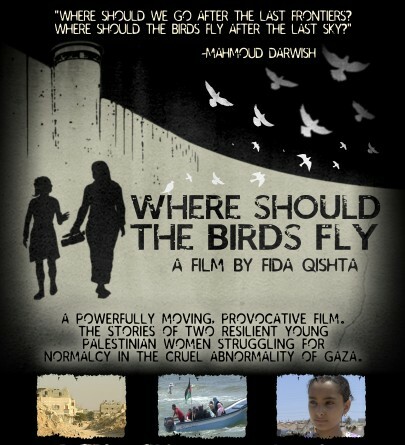 CODZ hosted a special, fundraiser screening on Saturday, 6 April 2013 to support distribution efforts for the film, Where Should the Birds Fly?, directed by Gazan journalist Fida Qishta. 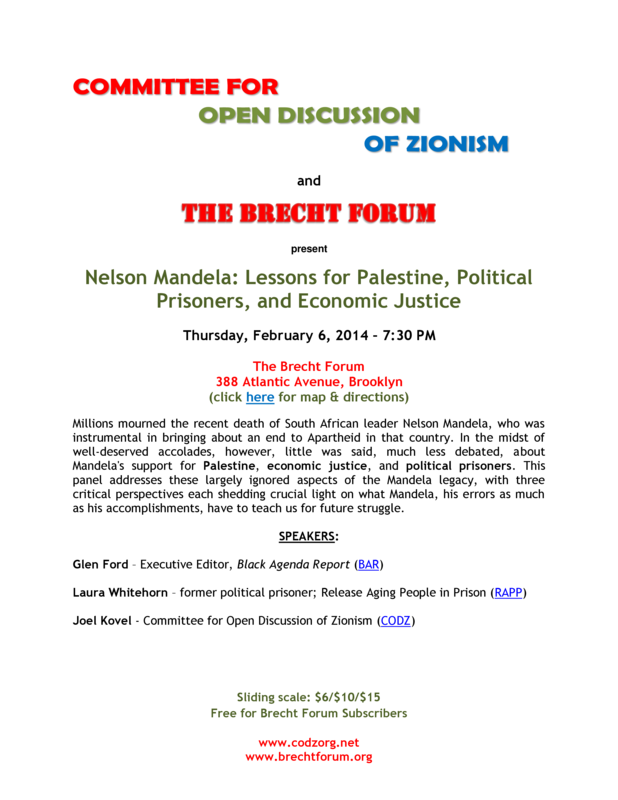 If you were unable to attend and would like to make a donation to assist with the film’s distribution costs, please e-mail codz@riseup.net. 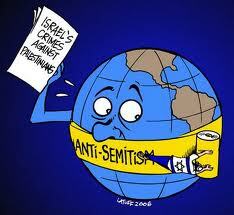 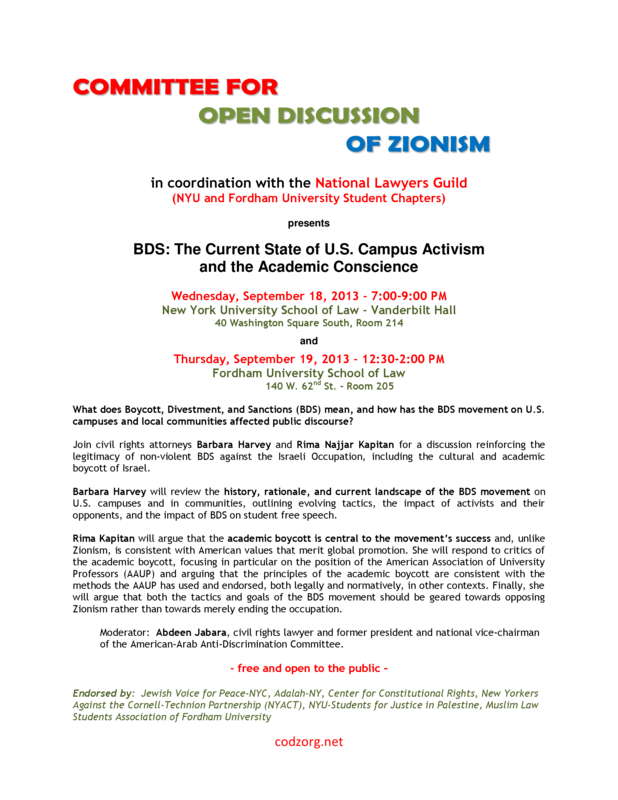 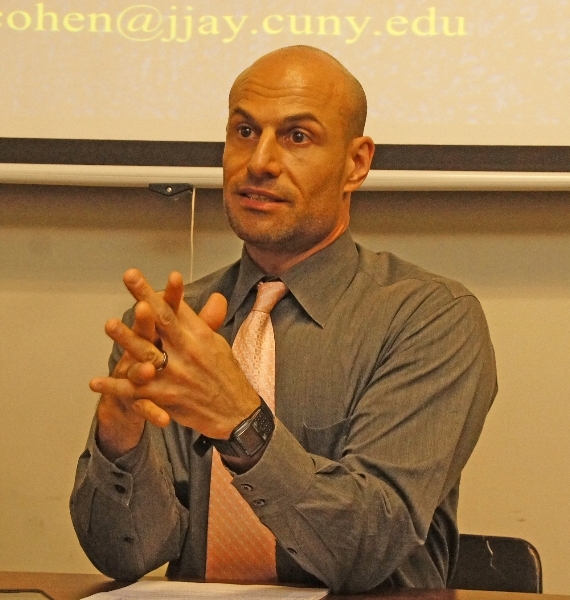 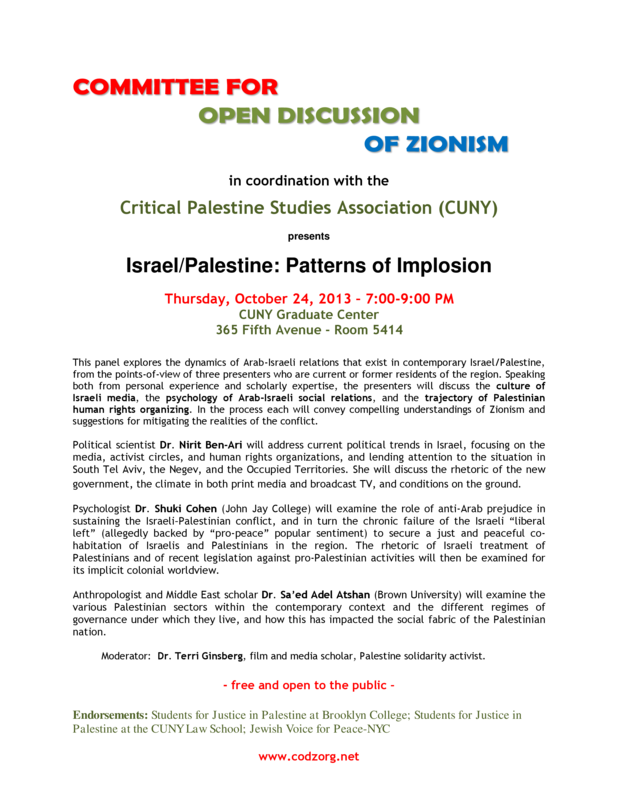 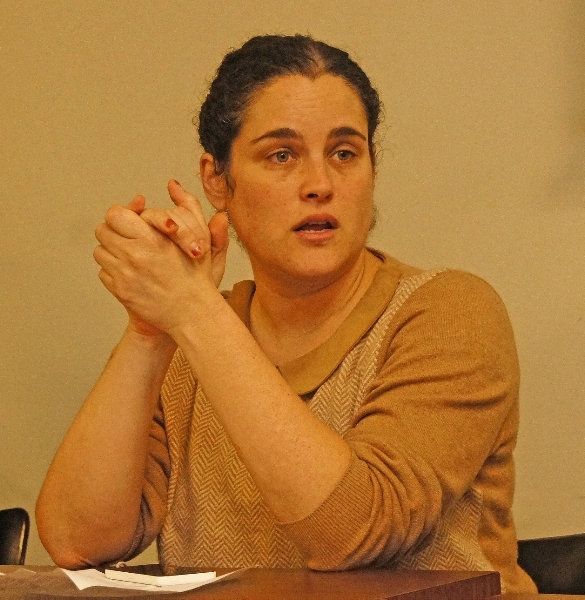 On Wednesday, October 27, 2010, the Committee for Open Discussion of Zionism, in coordination with the Brecht Forum and the International Council for Middle East Studies, hosted a panel event regarding one-state solutions to the Israeli-Palestinian conflict at the Brecht Forum in New York City. 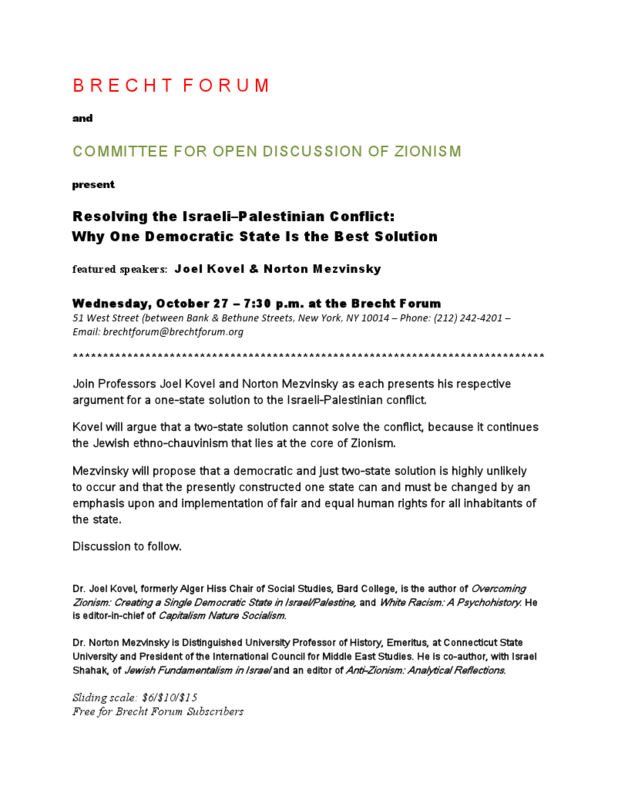 The featured speakers were Professors Joel Kovel and Norton Mezvinsky. 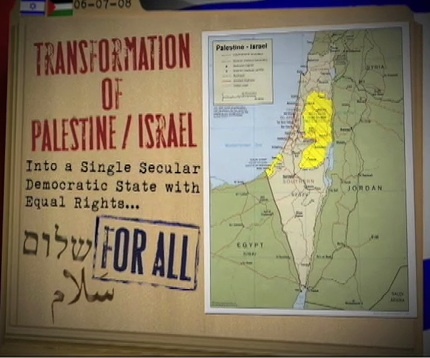 Can there be lasting peace between Israel and Palestine? What would a solution to the conflict look like?